You receive a 1-Day/2-Park experience with free roundtrip transportation to Universal Orlando from your Disney Area Hotels, including the Official Disney World Hotels. Can I Use Disney Transportation If I Stay Off Site? FL TOURS offers Orlando airport transportation to Disney World Resorts and the Disney Cruise Line. 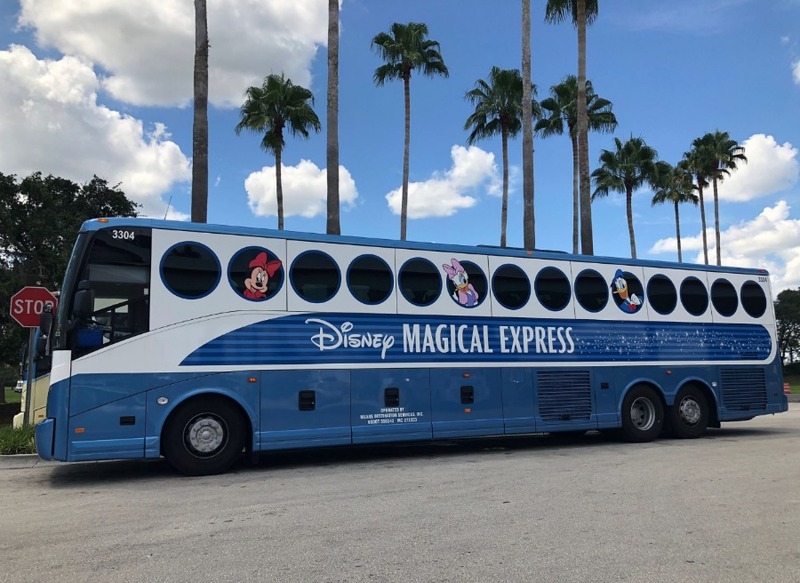 Round trip transportation to Disney Resorts is as low as $119 with no hidden fees and their rates include a 30 minute grocery stop, and Orlando airport meet and greet service at the baggage claim. 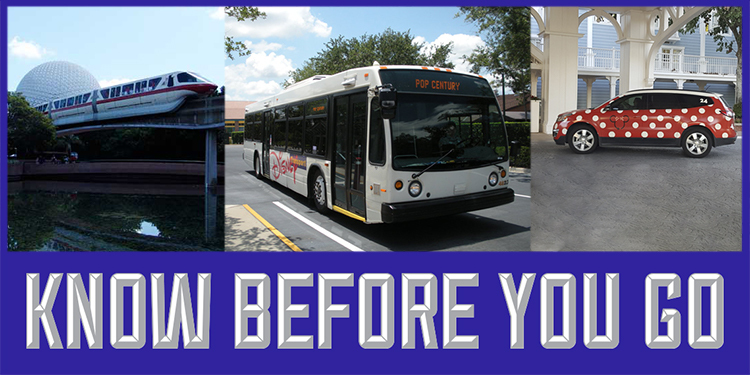 FL TOURS had been providing transportation in Orlando for over 15 years! Book with FL Tours and get a Free Grocery stop on all round trips! If you’re visiting Walt Disney World and staying at select Disney resorts, you’ll be able to take advantage of complimentary airport shuttle service, luggage delivery, and airline check-in. Point-to-point transportation service available at the Walt Disney World Resort in cute polka-dotted Minnie Vans! Find the bus schedules from all the Disney resorts and Theme Parks. ESPN Wide World of Sports Complex - Disney provides transportation from Disney's All-Star Resorts and Caribbean Beach to the ESPN Wide World of Sports Complex. From their introduction in Disneyland in 1959 to the current fleet of Mark VI monorails at Walt Disney World is a perennial favorite of visitors. From an old fashioned paddle wheeler to "Friendship" boats, water plays an integral part in transporting guests to their destination. This new gondola system is set to open at Walt Disney World in the Fall of 2019. The gondolas will have stations located at Epcot, Disney’s Hollywood Studios, Caribbean Beach Resort, Art of Animation, and Disney's upcoming Riviera Resort. 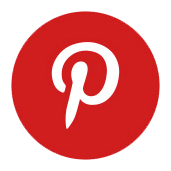 Airport Travel Tips -Tips for negotiating the airports and links to the major Airlines web sites. There are some incredible airline discounts to Orlando out there, but you have to act as soon as you see them, and be somewhat flexible. We have compiled a list of current airline discounts and tips for getting the best air deal. Driving to Florida - Our special tips and suggestions for the ultimate family road trip. Everything you need to know if you're taking Amtrak's Auto Train to Florida.